Tandy Makalima’s father was a policeman at Hogsback. She was born on 1st November 1970 in Auckland, went to the primary school and then Siyabonga High School where she matriculated. Her tertiary education was done at Fort Hare University where she gained a BSocSc in human resource management and a BComm Hons in industrial psychology. She has been working at Victoria Hospital in Alice since 1991. Tandy’s daughter is Orienda Makalima. She was born in Auckland on 3 July 1989. She went to the Auckland Primary School and then Nzululwazi High School in Alice to matriculate. She has a son, Enkosi, born 19 February 2014. The three of them live together and love spreading their wings by travelling. 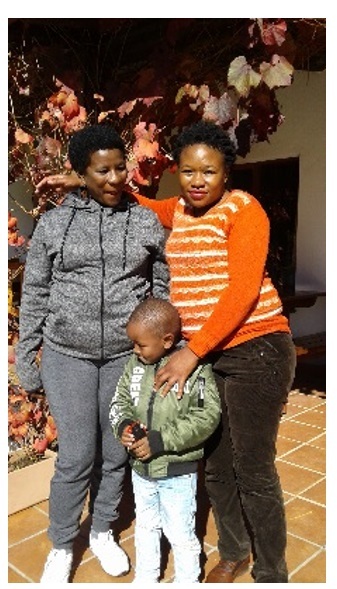 They have made trips to Aliwal North and to Cape Town where they loved going up Table Mountain, seeing the Waterfront, going by boat to Robben Island and eating seafood at Camps Bay, amongst other things. Tandy loves growing vegetables, eating them to keep her family healthy and selling them. Sometimes she brings her vegetables to sell at church. Thank you, Tandy and family, for sharing your story with us and contributing to St Patrick’s church services. We love chatting to you after church services and hearing your news. We appreciate the dimension you bring to the congregation. Do you like travel? 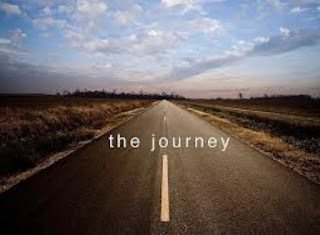 In fact we are all on a journey! Paul was on a journey with a purpose; he wanted to spread the gospel (Matt 28:20). On his second missionary journey he had to wait for his companions in Athens, but he was not idle – he could not waste precious time. While there, Paul was provoked by the idolatry in the city. That is like Jesus, who was sad about Jerusalem (Luke 13:34). Paul was severely provoked; the word is very strong (paroxysm). How do you feel about unbelief? Paul took every opportunity to share the good news, not just to the religious, but to any who would listen (Acts 17:17). Why? Like Jesus, out of love and compassion, but also out of obedience to God. He was called to witness, both generally, like all Christians are told to, but specifically when he met Christ on the Damascus road (Acts 9). After a while, Paul was given a specific opportunity – the Athenians always wanted to hear new ideas. People were prepared to hear; are we as ready to listen, as in church? Paul sought a point of contact with them, as I like to do with visual aids, things that are part of God’s creation. He saw one in the many idols in the city. What would he say here – many churches? Or perhaps that we also have many things we almost worship like idols! Paul then pointed to God’s power (Is 42:5). Because he knew God, he was not overawed by the audience, at the heart of what had been the intellectual centre of the world for centuries. And no doubt he knew the help and power of God. Yet he also proclaimed that God is close to all, and in fact reveals by a human being, Jesus. But Paul did not just inform and entertain, but announced that God demands repentance; there will be a judgement! And Paul did not just give an interesting idea, but could say that God gave evidence; Jesus rose! This is a feature of every Acts sermon. Are we sure of the evidence? Are we sure because we have met Him? Then we can tell with confidence.